Jacque has over 20 years’ experience of working in the housing sector, starting her career as a Housing Assistant in 1991. Since then Jacque has enjoyed a varied housing career from specialising in homelessness, through to all housing management, neighbourhoods and tenant involvement activities. 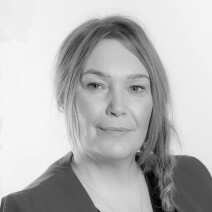 Jacque entered into her first senior management role as Head of Supported Housing in 2003 with a Manchester based stock transfer organisation and in 2010 achieved her first Director of Housing role with a housing association in the East Midlands. Jacque is a CIH member, with a post graduate in Strategic Management and is a NLP Practitioner and Coach. Jacque said, “I am delighted to be joining Wythenshawe Community Housing Group and am very much looking forward to leading WCHG’s Housing Teams to ensure we continue to provide excellent and valued services by working in partnership with our customers and stakeholders".